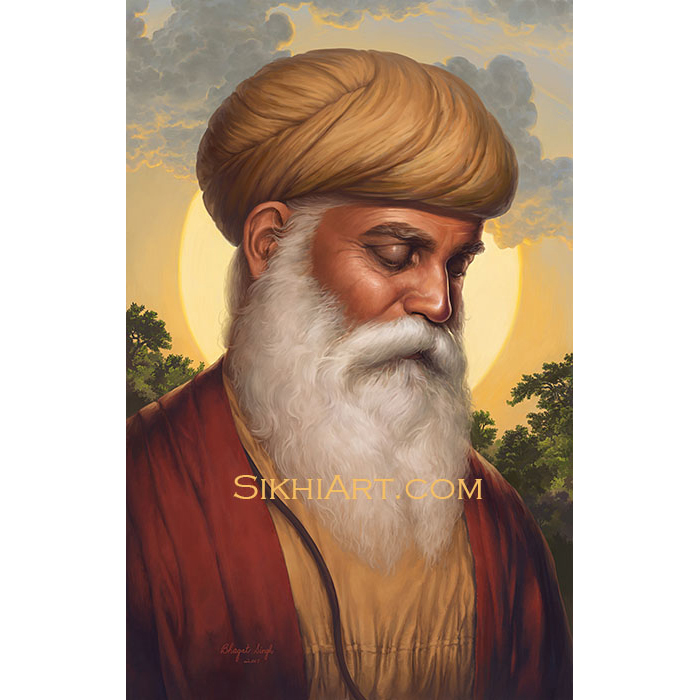 This painting naturally came out as a result of reading Guru Arjun Dev ji’s bani and feeling the emotions expressed therein. 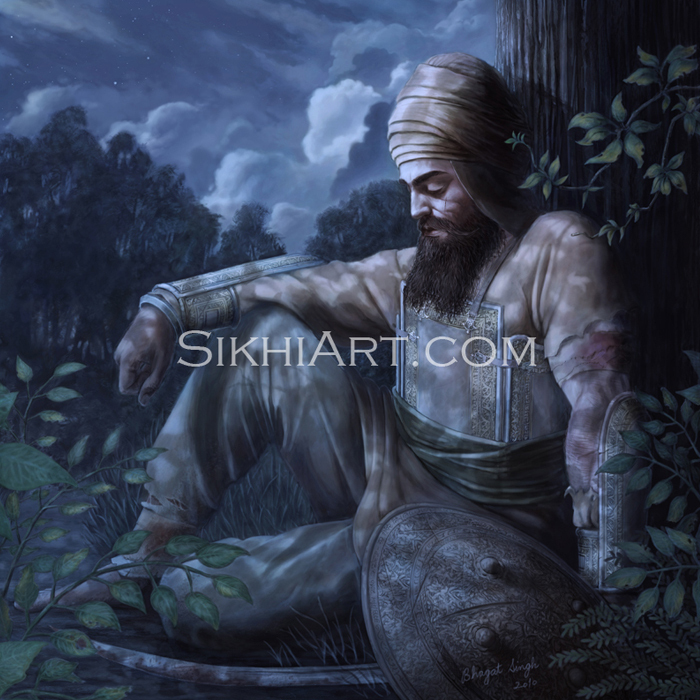 I was moved to tears by it so that’s why I had to create this painting of Guru Sahib. 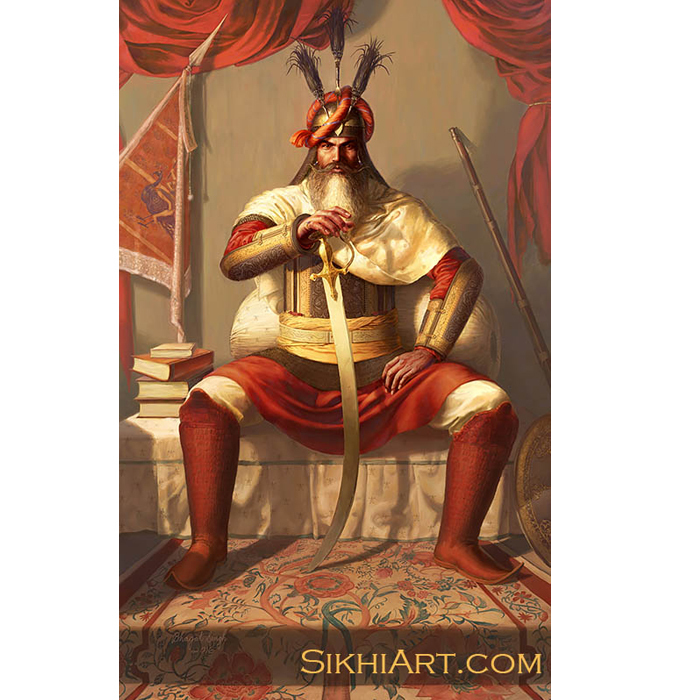 He did not take my accounts into account; such is His forgiving nature. 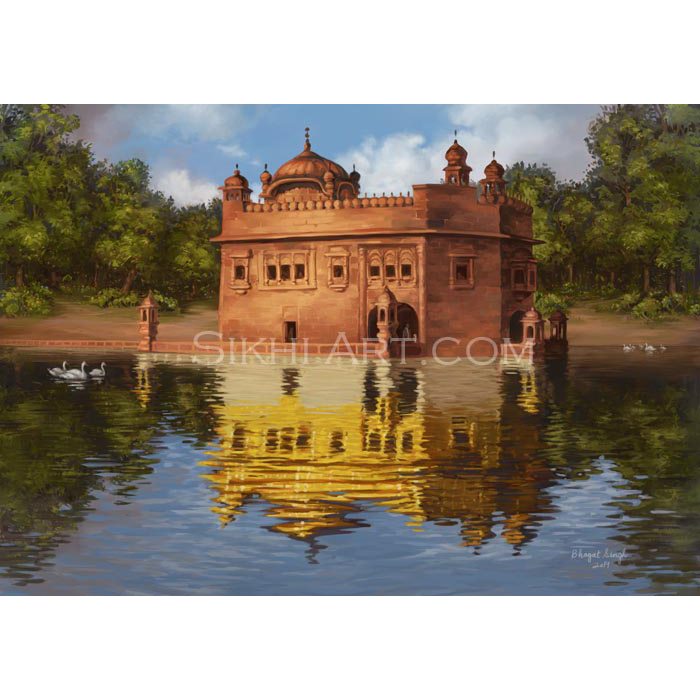 The above poems are the basis for this painting. 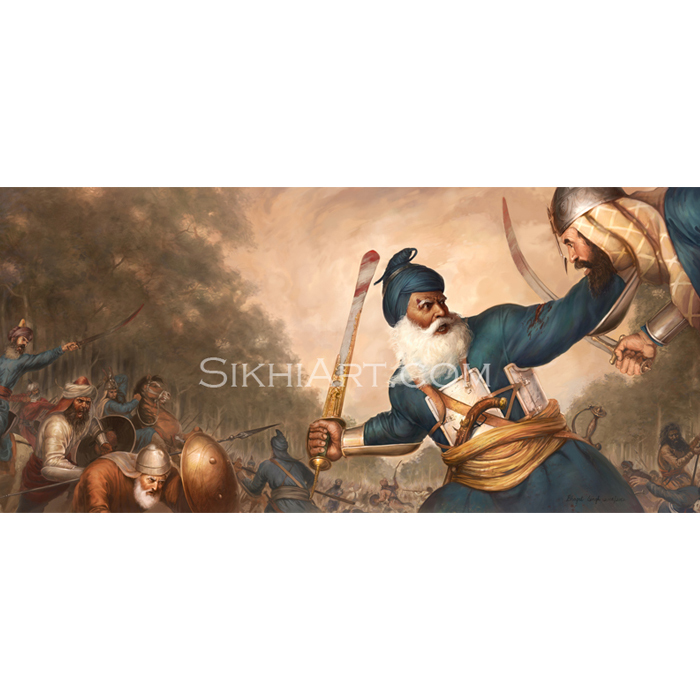 You’ll see me paint a lush, flowering, garden, as a metaphor for the state of his mind. 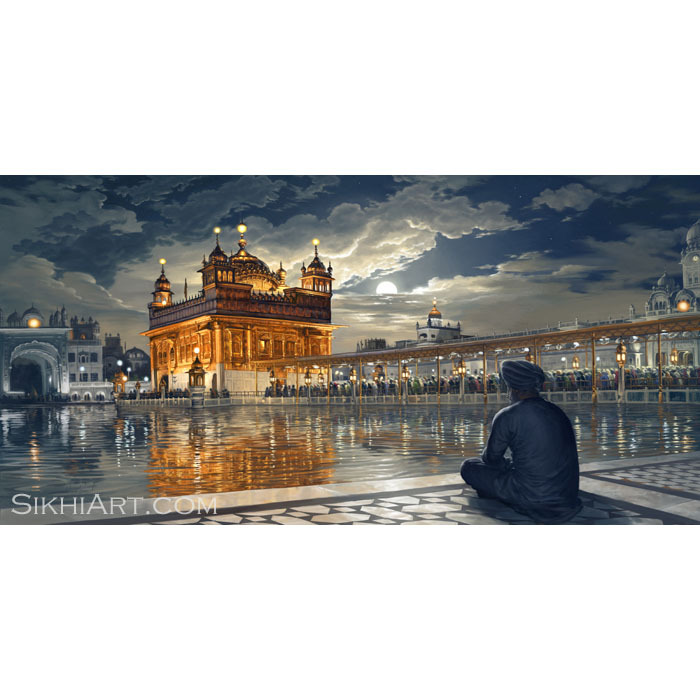 I was inspired by Bhai Harjinder Singh ji’s rendition of the poems of Guru Granth Sahib a lot. I would listen to the same song over and over again while painting. You will hear a part of this song at the very end. It’s very beautifully sung and it plucks on the chords of the heart. 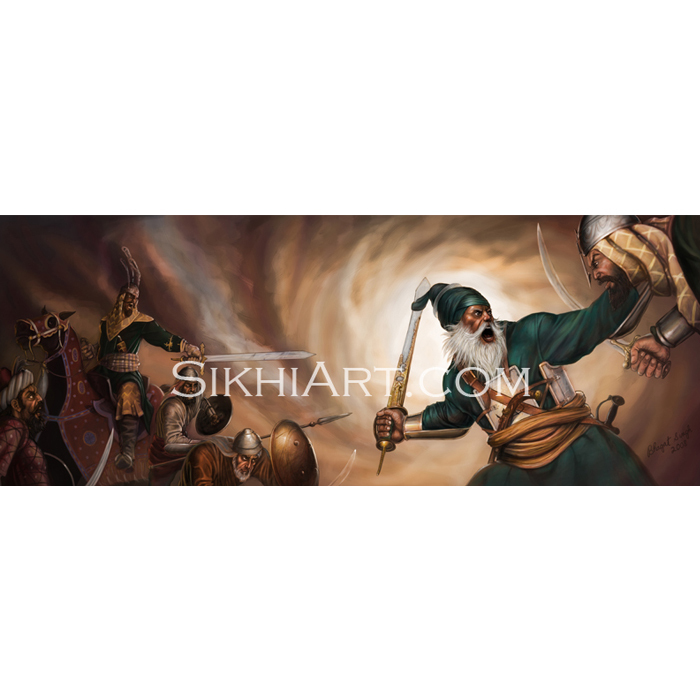 Using my previous painting of Guru Arjan Dev ji’s martyrdom, I am trying to get a similar face for a new painting. 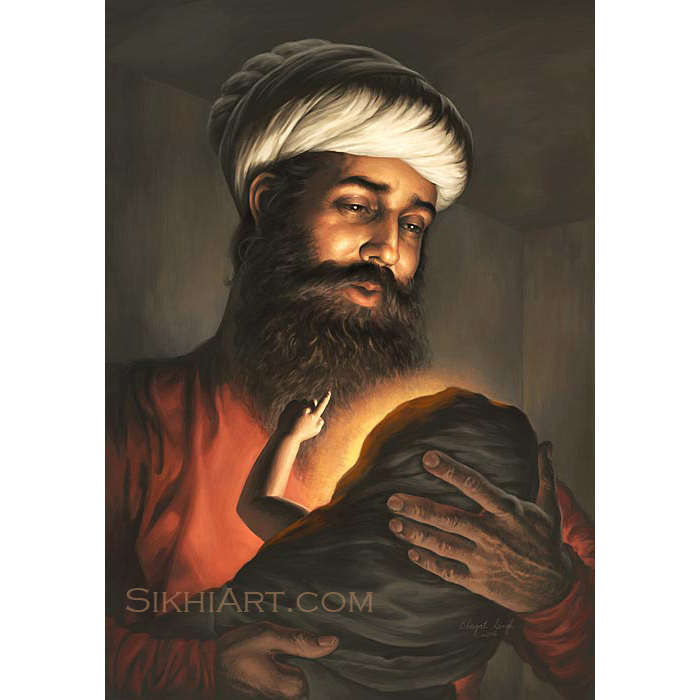 I think having some resemblance will connect the two paintings and therefore identify the Guru in the new painting as Guru Arjun Dev ji. 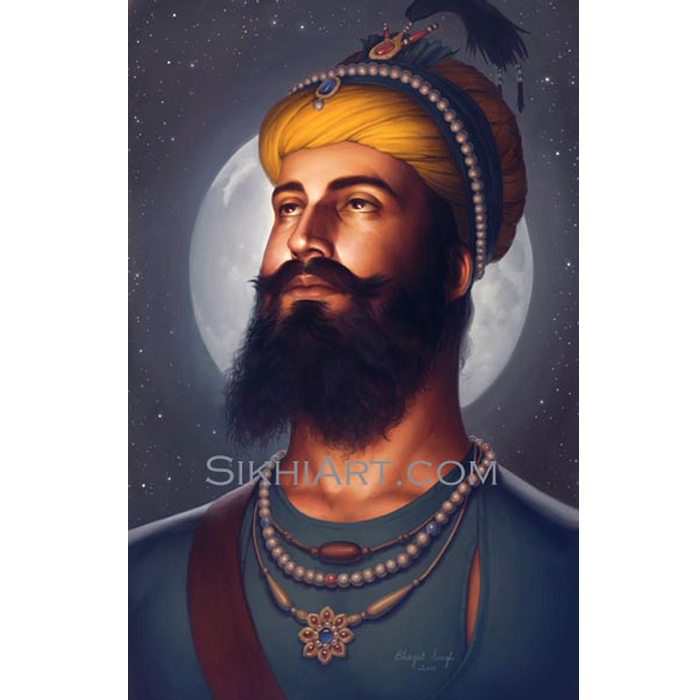 This is important because this new painting isn’t portraying any event that is from Guru Arjun Dev ji’s life, and so it will be harder to identify the person in the painting without a foundation. 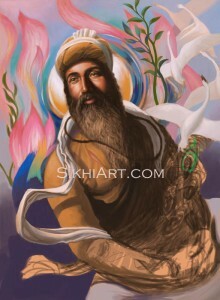 So in this case that foundation is the painting of Guru Arjun Dev ji’s martyrdom.